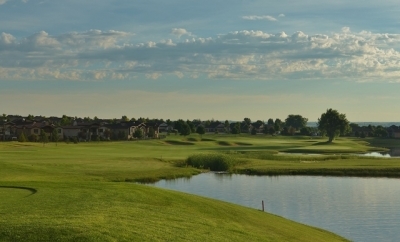 WINDSOR, CO – “If the golf is in the player’s hands, and they are making their own decisions on how to approach each golf hole with a range of options available to them, the experience will be more enjoyable, more engaging, more rewarding and less frustrating,” said Art Schaupeter, Course Designer at Highland Meadows Golf Course in northern Colorado. I’ve heard a lot of architects’ explanations on how they see their golf designs, but I’ll have to admit, Schaupeter’s is one of the best. We’ve all been to too many courses where we’re forced to play in box – and we don’t like it. From the very first tee shot of the day, you will have plenty of options at Highland Meadows. 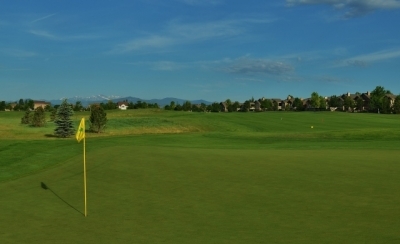 Such is the case at Highland Meadows, which is set on a fairly flat piece of land about an hour north of Denver. Think of Colorado and you’re probably picturing rocky bluffs, mountain peaks and lush forest – but you have to remember there are some pretty level parts of the state, too. It is hard to tell from this view, but the 18th green is quite a challenge. And because it was to be a “neighborhood course” (as the owner put it), there was a large grading operation to establish lot grades around the site. Schaupeter was then left to do what he wanted between the lot lines to grade the golf holes as he saw necessary. Schaupeter said the exception to the “simplicity” of the site was a 30’ deep arroyo that ran along the eastern edge of the land and spurred up into the property (today as part of holes 6-7 and 13-17). 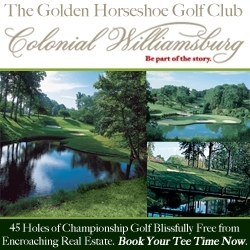 This feature presented an opportunity to create some very unique and dramatic golf holes while utilizing the only really interesting feature on the property. The overall golf course routing took shape from these holes. The rest of the holes in the property interior were located based on making the whole development work efficiently. The beautiful 4th hole is the shortest par three on the course. 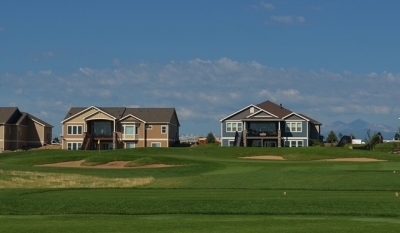 Community golf is the norm these days, so we’re all used to playing down housing corridors. But thanks to the aforementioned arroyo, there is a certain openness to Highland Meadows that you wouldn’t always encounter in a development course. For his part, Schaupeter did a great job in supplying that “open” feeling. He lived in Colorado for a little over a decade (went to high school there and attended The University of Colorado at Boulder), so it was like a homecoming for him to work at Highland Meadows. Schaupeter got his start in golf design by working for architect Keith Foster, who himself studied under another master designer, Arthur Hills. It was under Foster’s direction that Schaupeter assisted on two Colorado courses -- Buffalo Run in Commerce City and Haymaker in Steamboat Springs. The carry looks intimidating on the par three 16th hole, but there is plenty of room once you fly the trouble. Highland Meadows’ owner appreciated Schaupeter’s contribution to Buffalo Run and decided to give the newly solo architect a chance in Windsor, since the properties were similar. “Foster was very adamant about studying the history of the sport and the history of design and so I have spent most of my career really focused on looking at golf design from a historical perspective, which means a Scottish/Irish perspective…how the attributes of links golf can be applied successfully on each project,” Schaupeter said. 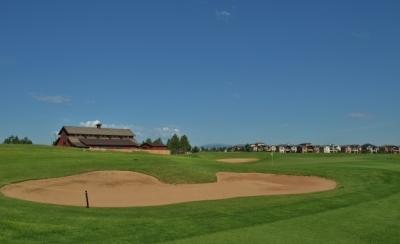 You’ll definitely see those “old country” elements at Highland Meadows in the rolling nature of the terrain, broad swaths of fescue and creativity employed around the greens. For a course basically raised from a featureless farm field, there’s a significant amount of variation to the topography. Combine Schaupeter’s experience with the “local knowledge” from having lived in the state and you’ve got a winning formula. 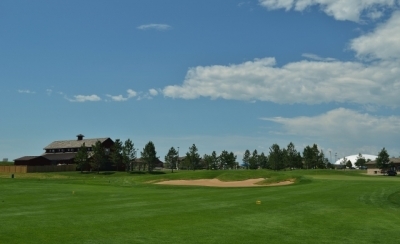 He said Colorado’s high altitude provided the biggest challenge in designing the course. The challenging dogleg left par four 6th is the number one handicap hole at Highland Meadows. 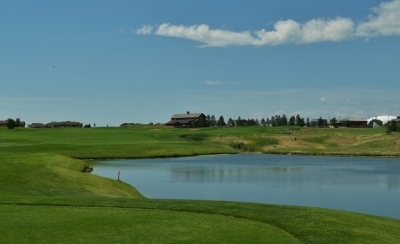 “The golf course is right at 5000 feet elevation and that means better players are hitting the ball an additional 7-12% further depending upon club, wind, slopes, etc. For a guy hitting it 280 off the tee at sea level, he is now hitting it 300-315 yards,” he explained. “Otherwise, I love working in Colorado. The nice thing about the Colorado environment is the dry climate. That helps keep turf diseases down, allows the courses to be maintained drier and firmer, and is just generally more pleasant to play in,” he concluded. The course was in outstanding condition when we played in early July. 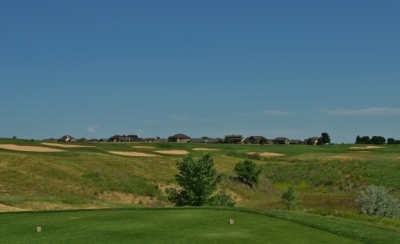 The area had actually been deluged by rain in a very wet spring, so everything was green and lush – but we can imagine Highland Meadows playing quite a bit differently in drier circumstances. 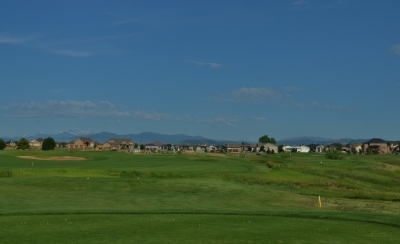 The par three 11th hole aligns nicely with Longs Peak in the background. And as Schaupeter alluded to, the layout is basically divided between the more topsy-turvy holes near the arroyo and those set on flatter ground in the main part of the property. With some 70 bunkers on the course and Shaupeter’s creative mounding – some of the holes appear quite intimidating. But the course’s width and bailout options make it play somewhat easier. Schaupeter was surprised to hear we thought the course was intimidating visually but played easier. He thinks it’s the other way around. Near the green of the long par four 9th hole. “I know a lot of golf courses get described as ‘looking harder but playing easier.’ I don’t think that makes for the best golf course. It sounds good, and correct, when you are trying to appeal to ‘average’ golfers, which is most of them, but to me that sounds like a course with potentially all looks and minimal or no substance,” he added. 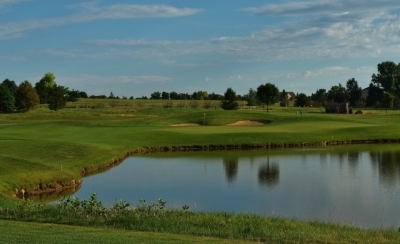 As I mentioned, Highland Meadows has plenty of substance and perhaps I was a bit jaded by the carries over the arroyo – but again, the wide playing areas mitigated the difficulty and the green complexes provided the bulk of the challenge. “Excessive and overly penal hazards (out of play, water, out of bounds) are not the right way to provide the ‘bite’ in a course. It must be subtle, varied green contours, varied green surround contours, multiple angles of approach to the greens, different ground contours and angles, offset hazards and minimal hazards,” Schaupeter elaborated. The greens are large, which also makes them look “easy” in approach but challenging in practice. Three-putts are lurking if you’re on the wrong part of the green at Highland Meadows. It is a long carry to the green of the par three 13th hole, but there is plenty of room to bail left if you chicken out. One last note before describing a few of the highlight holes, don’t go to Highland Meadows expecting beautiful mountain views. Colorado may be “Rocky Mountain High,” but those mountains are quite a ways in the distance. You can see them for sure, but they’re not a big part of the experience. A links course with tall mountains wouldn’t look right anyway, right? The architect dares you to go for it on the potentially drivable par four 7th hole. 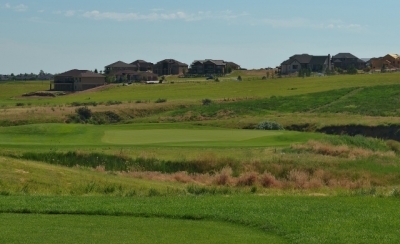 Zachary Leeman, Highland Meadows’ Director of Golf Operations and Tournaments, agrees with Schaupeter that the property’s arroyo makes it special. “Most of the arroyo is Environmentally Sensitive Area, and golfers are not permitted to enter those areas to retrieve balls or attempt strokes from them." Coyotes? Hope the local pets are kept indoors. The short par five 15th hole can play as easy or difficult as you dare. We wouldn’t know. The day we played was pleasant with dead calm wind. But as hinted at above, we appreciated the course’s difficulty anyway. Leeman says the hole highlights start with the par five first hole. 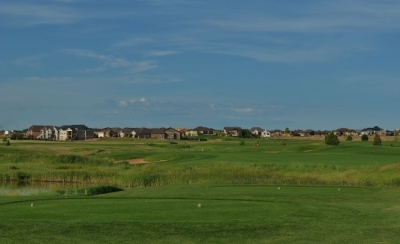 “Number one is a challenging par five that typically plays into a headwind. It’s a great risk/reward hole with water down the entire right side. “Number six is our ‘signature hole’ and the number one handicap, a forced carry on the tee shot and on the approach shot. It’s visually daunting, and demands two solid golf shots to get your par." Looking back from the green of the long par four 3rd hole, you will notice the mountains in the distance. Highland Meadows is very walkable and Leeman says he encourages people to hoof it when the weather is right. 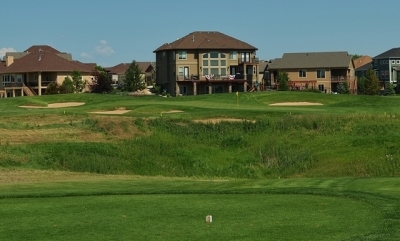 The course is open year-round, so if there isn’t any snow on the ground, tee it up in the winter as well! Long hitters can easily fly the pond and marsh off the tee of the par four closing hole. For the rest, plenty of room to bail left. With the golf in your hands, how could you ask for anything more? Mon-Thu $59 riding 18. Fri-Sun $69 riding 18. It’s always good to check the website for current rates and packages.